As a Catholic School we are committed to developing as a Community of Faith and Learning, providing the highest quality of education, and offering formation through the promotion of Gospel values, through celebration and worship, and through service to the common good. We seek to provide opportunities for young people to develop skills for learning, life and work. By ensuring a variety of learning pathways we support young people to move into positive destinations. Through our desire to ensure excellence and equity for all students we will provide a curriculum which challenges and supports all. A curriculum which allows them to evidence Gospel values in their daily lives. Our whole school and departmental priorities ensure literacy, numeracy and health and wellbeing are at the heart of our curriculum. We seek to develop articulate, resilient and caring young people through high quality learning and teaching. We encourage leadership at all levels. Through ongoing improvement planning and reflection our curriculum has been designed in order to support young people into positive and sustained destinations which meets local and national employment needs. This planning and reflection of learning is achieved through partnership working and, in particular, pupil voice. Universal personal support is central to our curriculum and pupil entitlements are key to our young peoples’ experiences. 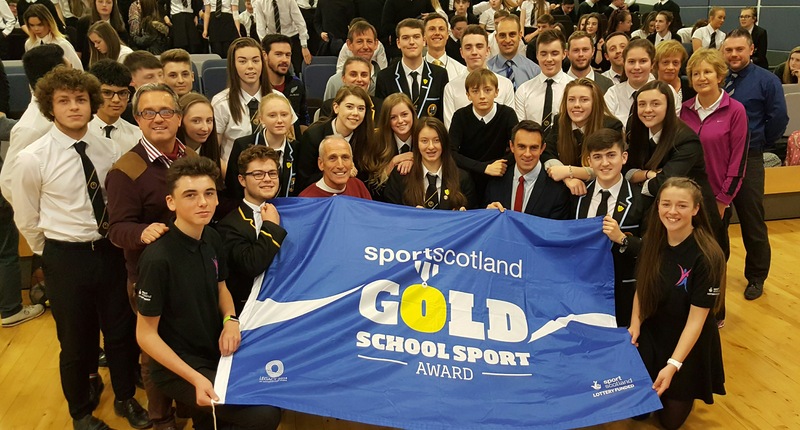 We seek to ensure personal achievement allows for an integrated education and the formation of the whole person throughout S1-S6. Through effective transition we provide a BGE which allows young people opportunity in all curriculum areas. Greater personalisation and choice are provided in S3, however our curriculum is flexible and is designed to meet individual need. Young people progress through 2nd, 3rd and 4th level learning to allow them to develop the skills required to achieve their potential in the Senior Phase. Experiences beyond the classroom ensure young people have the opportunities to put the skills they have developed into practice and to provide context to learning. Our senior phase is designed to provide all with the knowledge, skills and experiences required to succeed beyond school. Delivered as a single cohort, this allows for greater opportunity of learning for all. A range of learning opportunities are available including National Qualifications, Skills for Work, National Progression Awards, Work Experience and alternative provision to ensure a flexible curriculum tailored to individual need. By continuing to develop partnerships beyond the school we seek to provide a curriculum which supports learners into positive and sustained destinations. What does our curriculum aim to do? Help you to develop your God given gifts and talents in order to reach your potential. Allow you to develop skills for life, work and learning. Encourage you to be respectful, resilient and compassionate. Provide you with new experiences and opportunities. Support you to identify your goals and help you to achieve your ambitions. We will live our lives by the Gospel Values. We will work together to raise attainment for everyone. We will develop your skills in Literacy, Numeracy, and Health and Wellbeing across all subjects. We will provide learning experiences that are enjoyable, coherent, personalised and provide progression. We will assess your learning in ways that are sensible, reliable and appropriate. We will challenge you to be the best version of you possible.